Due to our limited available storage, we ask that a convenient time to return your rug(s) is arranged within 10 days of our notification that your rug(s) are ready unless a special arrangement was agreed at the time of booking. After 10 days storage will be charged at £20 per week or part of. This charge will not apply if we are unable to provide this service. All work carried out by ourselves must be paid for on return of goods or if goods are being couriered, cleared funds must be received by bank transfer prior to their return. We accept payment by Bank Transfer, Mobile Card Terminal (Customer must be present), Cheque or Cash. We aim to despatch your goods for delivery to UK mainland addresses within 2 to 7 working days from the date of your order. Occassionally if stock is unavailable immediately deliveries can take upto 28 days. We will always keep you informed on progress of your order. We offer no compensation for goods not delivered within time frame. Many of our products are handmade, with unique designs therefore they are subject to variation in construction, colours and materials used. We endeavour to describe and show each product on this site in as much detail as possible. Contact us if you require further details. Please note that due to the unique nature of products, if an item on this site is pre-sold before we can update the listing to a new stock item, in most cases, we are able to supply a product of a very similar type, style and colour. Contact us to tell us your requirements. If there are issues such as stock availability on your chosen product, we will contact you by email immediately. Confirmed orders or requests of Underlay, cut to size to your supplied measurements is not returnable once cut. Full payment will be required on or prior to delivery. Simply put your goods in your basket and use the online calculator before committing yourself. Costs are based on your location and the weight of your goods. This allows complete flexibility and transparency to offer fair shipping costs to wherever you live in the UK. We use trusted and reputable Carrier's for deliveries throughout the UK (this includes the Scottish Islands, The Channel Islands, Isle of Wight, Isle of Man and Northern Ireland but we can't offer FREE delivery to these locations). We strive to offer the best value delivery to our customers, therefore spend £200 or more online and we will deliver orders FREE to UK mainland addresses only. If you qualify for Free Standard Courier Delivery, you may also see a delivery cost, our system works this out automatically but please choose the free option. For International delivery quotes please CONTACT US with details of your order and we will be happy to email you back with an overseas delivery quote before you make an order. The Marlborough Rug Company returns policy does not extend to any products shipped outside of mainland UK. Orders sent overseas are not able to be cancelled once the item(s) have been shipped/delivery has taken place. All deliveries will require a signature on receipt of delivery. If the courier is unable to deliver, a card will be left with a contact number to arrange re-delivery or collection from the nearest depot. Please note, if no contact is made with the couriers within 7 days of attempted delivery, the goods will automatically be returned to us. 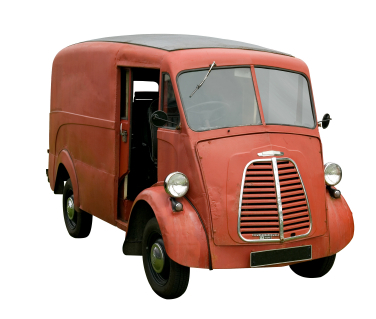 Our delivery charge for re-despatch of returned goods will include the courier's 2-way charge for returning the original package to us. Ownership, risk of damage to or loss of the goods shall pass to you at the time of delivery, even if the goods have not been received by you in person. At Marlborough Rug Company, we aim to deliver an excellent 'hassle free' service and we are therefore happy to receive goods back and perform exchanges or refunds. If for whatever reason you wish to return your goods, you can return them upto 14 days after receipt to qualify for a refund. We will be happy to provide an exchange for a product, issue a credit note or refund, providing the goods are returned in perfect unused condition* and where possible unopened and/or in their original packaging with any tags attached. If goods are returned after 14 days, we will offer you a credit note to choose again. *We reserve the right to refuse a full refund or exchange, if the goods are returned in a non-resaleable condition or require professional cleaning by ourselves. If you need to return an item, simply login to your account, view the order using the 'Complete Orders' link under the 'My Account' menu and click the Return Item(s) button and fill out the reason for return and whether a refund or exchange is required. We'll notify you via e-mail of your refund once we've received and processed the returned item. Not available on Made to Order items. Ple ase then repack the item in its original packaging or similar secure packaging and return your parcel to us using the address indicated on your invoice. 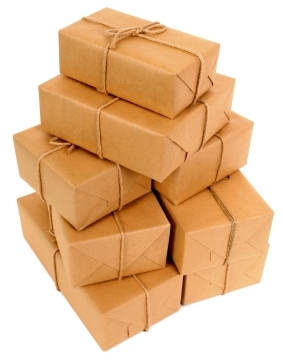 We advise all customers must return goods via insured courier or recorded delivery and to keep the proof of postage. This will cover you if the goods are lost in the post. We cannot accept liability for goods lost or damaged in transit. We can arrange the return collection by courier if you would like us to. We advise that returns are sent at your own expense, unless the return is a result of our error (e.g. you received an incorrect or defective item). Return costs in this case will be bourne by us and replacement products resent to you free of delivery charges. - Any queries please EMAIL our Customer Service. How long will it take to receive my money back? All refunds will be issued to the same payment method as the original order and will be processed within a maximum of 7 days once we have received and processed the returned item(s). In most cases this will happen much sooner and we will email you on the day the refund is processed as long as we have your email address. In the rare and unfortunate event of your Marlborough Rug Company product being faulty, please accept our apologies, and contact Customer Services by EMAIL within 24 hours of receipt of your order so that we can arrange to return and refund/exchange or clean/repair the item. Please do not use the product. All replacement items will be sent to you Free of Delivery charges. Please note that our sale items have a 7 day return policy from the day of receipt. This is to enable us to process the return item and put it back into sale online before the sale ends. We can only issue credit notes for sale items returned outside of this time. If exchanging goods and the value of the new item is less than that of the one you are returning, we will refund the difference via the original payment method. If exchanging goods and the value of the new item is greater than that of the one you are returning, additional payment will be required. Refunds for items bought as gifts can only be given to the original purchaser. If you decide to exchange an item the purchaser will be informed. If you would prefer to order from Marlborough Rug Company by telephone or email, a member of our team will be happy to discuss your requirements. Phone lines open 10am - 5.30pm Mon to Fri. If you receive no answer within or outside these times, please leave us a message as we may be visiting customers or in a poor signal area. Include your phone number, email address and location so we can get in touch with you. Alternatively send us an email with the details of your enquiry. If you send us an email or leave us a telephone message, we will endeavour to respond in most instances within 48 hrs, often sooner. Exceptions maybe but not exclusive to busy periods or during holiday times.